Spring and fall are the best seasons to sow grass seed. Whether you are creating a new lawn on bare soil or are over-seeding your existing lawn to establish better growth, you will have to choose seed that is suited to your requirements. For most homeowners, the overall "look" of the lawn is very important. The "look" usually depends on the width of each blade of grass. Grasses with wide blades give a rough or course look, while grasses with narrow blades give a smooth, fine-textured appearance. The color of your lawn will depend partly on the kind of grass you choose and partly on local growing conditions. The number of weeks that your grass looks green and lush depends partly on the suitability of your grass for your local conditions. To choose the right grass for you and your family, you must consider your lifestyle, the region where you are located, and the local growing conditions. How do you use your lawn? Do you enjoy looking at the green expanse, or does your family play touch football games on the grass while your pets race back and forth? Some grasses tolerate heavy use better than others. They will endure more foot traffic before showing signs of injury, and they will recover more quickly from damage. Zoysia grass, Bermuda grass, and some of the Bahia grasses tolerate the most foot traffic, while St. Augustine grass and Centipede grass tolerate the least. Perennial ryegrass and the fescues have a medium tolerance. The more beautiful the lawn, the more maintenance it is likely to require. However, some grass seeds still look good with only moderate care. Be honest with yourself. How much maintenance will you be willing to do? 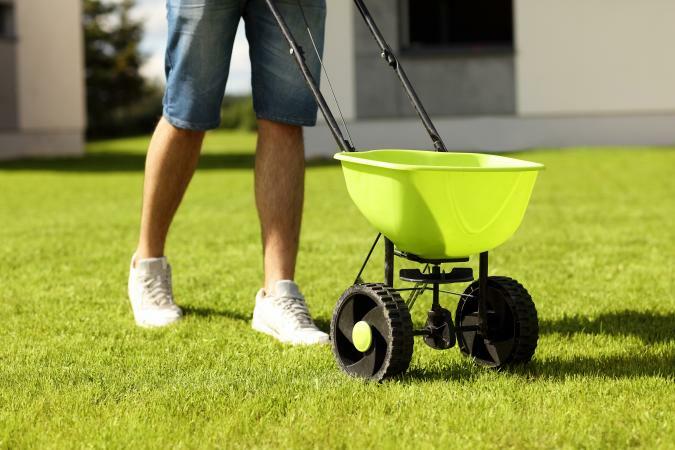 The cost of establishing a new lawn can vary widely, depending on the amount of side preparation needed, the cost of seed, who provides the labor, and the local prices. Maintenance costs also vary dramatically. Ryegrass usually establishes itself quickly and with relatively little expense. Zoysia grass establishes itself slowly and is more expensive. Some grass seeds require more seed per square foot to grow a smooth, thick lawn. That does not necessarily mean that they are more expensive, because the cost per pound of seed is sometimes lower for grasses that need more grass seed per square foot. In general, Zoysia grass, Centipede grass, and the Ryegrasses need fewer grass seeds per square foot, while Bahaia grass needs the most. The Fescues, Bluegrass, and Bentgrass are in the medium range. Like most plants, grass has climate preferences. All grasses go dormant under stress. Some cannot tolerate freezing weather, while others die back in summer heat. Generally, grasses that thrive in hot temperatures easily cannot survive cold weather, and vice versa. Choosing the right grass -- or the right mix of grasses -- for your location is essential for a beautiful lawn. Areas with weather corresponding to USDA zone 8 or warmer generally need warm season grass seeds to make a beautiful lawn. Zoysia grass, Improved Bermuda grass, and Bermuda grass can thrive in the hottest weather. They will not go dormant in the summer heat. Areas with weather similar to USDA zone 5 or colder need grass seeds that can tolerate winter freezing. Bentgrass, Tall fescue, and Ryegrass show little winter kill even in the coldest winters. Areas with moderate weather often plant a mix of grass seeds to get a lawn that will stay green all summer but will not die over the winter. Bluegrass is especially popular in transition zones. If you live near the ocean, finding grass seeds that will withstand the salt in the ocean spray and the soil is important. St. Augustine Grass, Zoysia grass, and Bermudagrass are good choices for these conditions. In some areas, the danger of wildfire is always present. Lawns that contain a mixture of native grasses offer some protection from fire. The University of Colorado describes these grasses in considerable detail. While most people have a mental image of a beautiful green lawn glowing in the afternoon sunlight, many homeowners have shaded areas to deal with. Some grasses tolerate shade better than others. The presence of shade can also make a location cooler than surrounding areas. St. Augustine grass and the Fescues have the greatest shade tolerance, while Bluegrass and Bermuda grass have the least. Your lawn certainly needs water. However, if you live in a dry area, you can reduce irrigation costs (and do the environment a favor) by choosing grass seeds that are drought tolerant. Bermuda grass, Bahaia grass, and Zoysia grass are the most drought-tolerant species, while Ryegrass and Bentgrass are the least.